The Verifi S6000 Smart Biometric Gun Safe aims to deliver on safety while at the same time making it simple to use. You will not have to worry about accidental access. It is versatile allowing you to store any of your precious items. Whether it is a gun, expensive jewelry, or sensitive documents, this safe is highly recommended. With a fingerprint sensor, you are the only person who can gain access to the safe ensuring that no one else gains access. If you are looking for a safe that ensures your equipment is safe, auto locks soon as you close the door lights up in the dark for easy viewing of content, as well as features a compact and robust construction, this safe delivers efficiently. 2 Whom is Verifi S6000 Smart Biometric Gun Safe designed for? Whom is Verifi S6000 Smart Biometric Gun Safe designed for? There is no need for you to master any combination or statistics when working with this safe as all you need is your fingerprint to open it. This makes it easy to access and fast just in case you are in a hurry sensing danger. It registers the fingerprints that can open the safe and in the event anyone else tries, it will not only remain closed, but it will also notify the owner that someone of people tried to access it. In this, it ensures that safety and security are upheld. 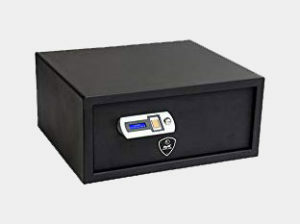 The biometric gun safe makes it very specific ensuring that it scans deeply to verify the individuals trying to access it. It is not just about scanning at the surface thus reducing the risk of any error. As a fingerprint gun safe, It comes with the latest technology to defeat scams. You, therefore, remain in control of what happens and in who else can gain access to it. This makes it possible for use by right about anyone. Safes that use keys or combinations may require that you manually lock the safe. If you forget this stage, you will end up losing your content. 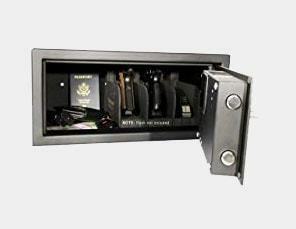 It is one of the best biometric gun safe, one you swing the door. It will automatically close and lock itself for safety, so you have no reason to worry about forgetting. This makes it a smart-safe as it senses as the door closes and ensures it locks to retain all contents. This works great with the LCD display as it makes it easy to operate it even in the night. The display also shows the events log and power levels of the safe so you can replace the batteries in time and prevent any risks. This Verifi S6000 Smart Biometric Gun Safe allows more than one user to access the safe as long as it registers and saves the fingerprints. In this, it allows more than one user access. Also, you have the ability to add or remove the fingerprints depending on who is authorized to access the safe. It allows up to 10 fingerprints per person. Unauthorized individuals will never have to bother themselves. The Verifi S6000 Smart Biometric Gun Safe can, therefore, limit people who can use it and if a person leaves, you can remove their authorization. The body and design may be simple, but it is strong and thanks to its solid steel construction. This makes it difficult to access even when trying to break it even when the thought of breaking it comes across your thoughts. Its design comes with two mounting holes at the bottom as well as in the rear making it possible to mount it on the floor. In addition, it comes with two keys that make it possible for you to access the documents if there is a problem. Keep in mind that the fingerprint sensor works with power and if it is low in power, the key comes in handy. Can I bolt this safe to the floor? This safe comes with two mounting holes at the bottom as well as in the rear making it possible to mount it on the floor. This boosts its safety and prevents portability. Is there any other backup plan for opening the safe? Yes, there is. This safe comes with a key you can use in time of emergencies or for any other reasons. This boosts its convenience and efficiency. 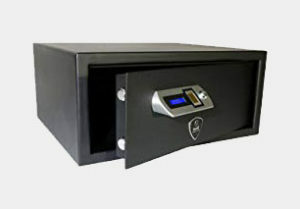 This safe makes it possible to ensure that your sensitive and precious items remain safe. 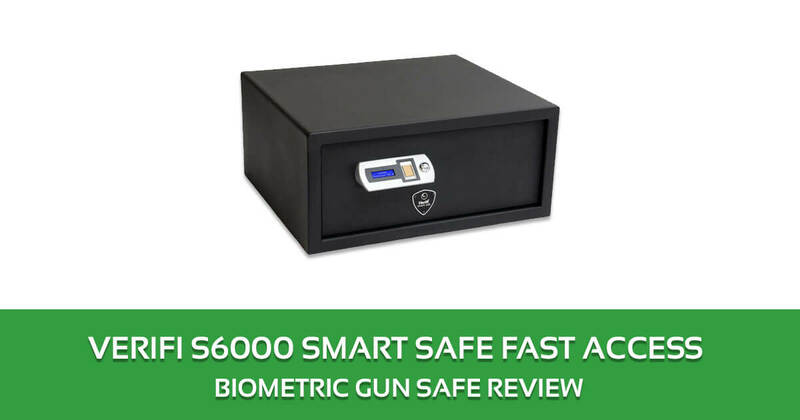 For those who own guns and are looking to ensure safety in their homes where they are preventing accidents or preventing children from gaining access, the Verifi S6000 Smart Biometric Gun Safe will meet your objectives. It is diverse, and this makes it your ideal safe. It will lock automatically and with a simple fingerprint scan, you will be able to open it. Remember, no one has identical fingerprints and this provides exclusive access to what belongs to you. Just received your safe S5000. Wondering where to purchase the pistol dividers pictured in your brochure?